Environmental concerns have proven a bugbear for literature - and for obvious reasons: it’s difficult to establish an emotional connection to non-animal entities through text. Social concerns like abortion, poverty, abuse, etc. are much easier to portray in written form. Thus it is that documentaries have proven themselves the main vehicle conveying modern day concerns over the environment. 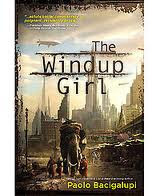 The Windup Girl, however, is for once a novel that proves an effective combination of ecological concerns and tight plotting, producing a good story in the process. Not written in the most stylistic of prose, Bacigalupi’s The Windup Girl nonetheless delivers the goods. Characters are generally consistent, empathetic, and plausible. The futuristic scene of a post-oil Bangkok is, however, fully believable, and the plot of political intrigue and individual concern, though having been done before (what hasn’t?) moves at a pace that keeps the reader interested and guessing. More distressing is the title. Reading superbly, it simply does not reflect content, however. The windup girl is not the main character, nor are her concerns delved into or resolved in any meaningful fashion besides revenge. Lake is, in fact, the main character, and the political, environmental, gender concerns take a backseat--a close backseat--to the entertainment value. More significant is that the title does not reflect the fragmented narratives which comprise the whole. 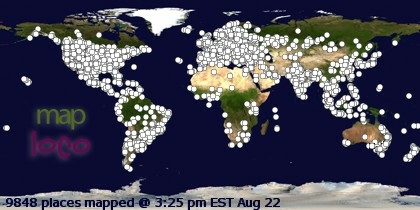 The storylines working well independently, they never congeal under the banner of Emiko, the windup girl's, plight. Where Bacigalupi exceeds expectations, however, is in the creativity he displays describing the devices which motivate the story. With oil no longer available in infinite quantities, animal power is used to charge capacitors, and as animal power depends on calorie intake, agricultural interests rule. Offering a great commentary on the direction of present day big oil, these agribusinesses put the population at their mercy. Diseases are unleashed amongst crops so that people must buy certain companies untainted products. The genetic structuring of animals is likewise toyed with, the titular character a clone bred for lascivious entertainment and obsequiousness. The original and ingenious manner in which Bacigalupi intertwines genetic manipulation, agribusiness, and politics has yet to be attempted in fiction, to my knowledge, and provides the strongest novel a strong foundation toward enjoyment. Winner of the 2010 Hugo, The Windup Girl, for all its shortcomings in literary categories, nonetheless remains pertinent in light of today’s ecological concerns. It offers direct commentary on the possible direction today’s agribusiness concerns is headed, particularly concerning genetically modified foods (GMOs). Genes not a child’s toy, it would seem Bacigalupi’s book will become more relevant as science makes its way from the laboratory into our everyday lives in the biological products we consume and interact with. With the masses distracted by talent shows and tv advertisements, the dangers of gene manipulation described in The Windup Girl deserve to be required reading. Therefore, this book is recommended for anyone interested in near future speculation on the nature and direction of plant and animal gene experimentation. 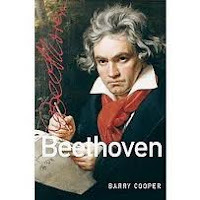 A heady mix of history which focuses on music theory, Cooper’s biography of Beethoven is everything the music scholar could hope for. The best and lesser known of the great composer’s works are broken down for style, theme, and technique, all in the context of Beethoven’s career. Thus, for those looking for an in depth look at his personal life, more speculative but perhaps interesting information can be found elsewhere. If music composition and theory are your bag, however, then by all means check out Cooper’s survey of Beethoven and his work. Based on the depth each piece is examined, it seems impossible not be disappointed on this front. For myself, a non-scholar, skipping the super technical yet diving into the thematic expositions has proven itself invaluable listening to the concertos, symphonies, and quartets, since. Therefore, be warned that in Beethoven, the music not the man takes center stage. It’s not often that I start a book and cannot finish it. 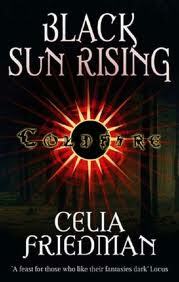 Celia Friedman’s Black Sun Rising, unfortunately, is one such book. It is unfortunate because she has such a good premise. Humanity has inhabited another planet where a dark spiritual force flowing through the earth (called the ‘fae’) gives shape to people’s nightmares, which in turn are manifested in reality and can only by controlled adepts and sorcerers. Or at least so I think. The Seeing, and Knowing, and Healing, and Working that occurs is so unclear as to render the character’s usage of the fae more than confusing. But the lack of a well thought out system of magic is only the beginning of the book’s faults. More troublesome is characterization and character interaction. Again, I think Friedman had a good idea about how to motivate the discourse; the two main characters are opposed ideologically but must work together toward a common goal. But again, only in theory. Friedman’s execution of dialogue between the two, on top of being overwrought and subsequently unbelievable as conversation between two real humans, is chock full of forced emotions that have no prior background. So often does a character explode with emotion after a point that does not seem to warrant such an outburst. “Damn you, Tarrant! You just gave me my tea with those cold eyes of yours. How I despise such behavior! !” And so on. If the characters had been properly motivated, I could have understood such interchanges, but alas, plot too is thoroughly lacking in convincing enough ideas to move the story. Do the boys go on to perform any other function? No. Does this paragraph advance the narrative? No. Why then would Friedman tell us what the main character is thinking about the stable boys? Is it humor? Hopefully not. Is it insight into the main character’s mind? He seems pretty normal. Or is it just shoddy writing? The best bet. Were this the only paragraph digressing unnecessarily from what could have been a great plot, the misstep could be forgivable. But that the whole book is full of people who are “utterly certain that…”, and things that “seem like…”, and emotions that “suddenly…”, it’s as if a high school senior edited the book. Hard to believe Friedman teaches creative writing at a university. Suffice to say, Black Sun Rising—and I assume series—is second rate material worth your time only if you like these kinds of simplistic fantasy featuring superlative laden prose, over—and therefore—underdeveloped characters, and meager plot development to begin with. Friedman’s ambition simply does not match her skills as a writer in this book. Thematic at so many levels, poignant to such a variety of societal issues, and so complex in size and structure – on top of being filled to the brim with action and magic - it’s difficult to begin describing Steven Erikson’s decade-long project The Malazan Book of the Fallen. Literally and physically epic, whole forests were undoubtedly destroyed in printing the ten volumes of this completed series. The result is that scope, depth, and world building have perhaps never seen and never will again see such a massive, sprawling story populated by such a variety of characters and cultures. Fantasy literature has been redefined. The first book, Gardens of the Moon, sets the tone. Thrown into events as they are happening, readers do not get any soft, fluffy background, slowly easing them into the world of Malazan. And the series does not relent. Though satisfying closures to individual storylines can be found, the last book, The Crippled God, finds the series ending as ongoing as it began. Much the same as being dropped into the middle of Europe’s attempt to colonize the world and plucked out as the events of WWI draw to a close, Erikson has said that the overall effect is something like “We edge in to observe a slice of history, then, ten books later, we edge back out.” Relative background filled in only as necessary, readers expecting easily accessible explanations as to why things are happening will immediately be put off. Like our real world, little is spoon fed in Malazan. Writing in such a mode begs the question: why should I read the series if it’s so complex? Like the works of Gene Wolfe, the answer lies in the themes that are unveiled upon closer inspection. While on the surface Malazan appears to have it all, action, comedy, romance, tragedy, the supernatural, etc., at a deeper level, more complex and poignant ideas exist. For example, the name of the series comes from an idea Napoleon had to create a Book of the Fallen to honor all who died in the name of his cause, thus ensuring history did not forget them. With this idea in mind, one of Erikson’s main goals is to bring foreground the lives of ordinary soldiers and the difficulties they have living subject to leaders whose interests are not always altruistic, as well as the uncertainty of living with war. Unlike much of modern fantasy which tells the story of the hero – the undefeatable warrior championing justice – Malazan instead tells of the supporting cast, the little guys and the sacrifices they contribute to the overall effect. Sticking with thematic content, the conflicts and bloodshed so visible in Malazan are not in fact nihilistic commentary on modern life, rather a key indicator of the precocity of life itself. Those who read the series all the way to the end will be pleasantly surprised at the manner in which the themes of compassion, family, and love for friends are revealed both amongst and through the bloody battles and powerful displays of magic. 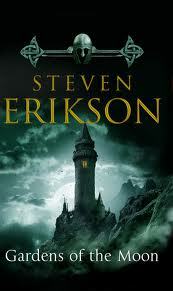 Thus, in writing The Malazan Book of the Fallen, Erikson has pulled off the near impossible: a combination of Dungeons and Dragons with literary aspiration, emphasis on the latter as the series progresses. As a result, those looking for fantasy entertainment with accessible storylines and rather typical heroic characters should read Abercrombie, Rothfuss, or Lynch. For those looking for fantasy with depth and value, the rewards of sticking with this series – no matter how difficult it can sometimes be - are real. (Check out the Malazan Empire forums for an idea of the fanbase and its devotion.) Truly an investment, the series is open to numerous re-reads. Ample room is available for gleaning details overlooked in previous sittings and wonder at the depth of the world created. In fact, the more one allows themselves to melt into world of Malazan, the more the little treasures of wisdom and sheer humanity Erikson has planted reveals itself. Tragedy and the fantastic have perhaps never been so well intertwined. Recommended, but be warned the road is not always easy.